Personal development wealth: In order to super-charge your financial wellbeing you MUST learn to feel comfortable around wealth and wealthy people. If you cannot master this feeling you will never attain or more importantly maintain real wealth for yourself. 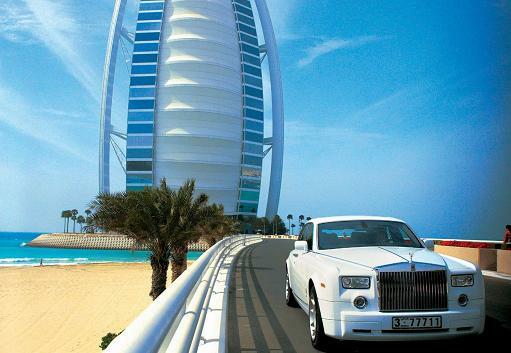 A few years ago my wife and I holidayed in Dubai, the wealth capital of the world. 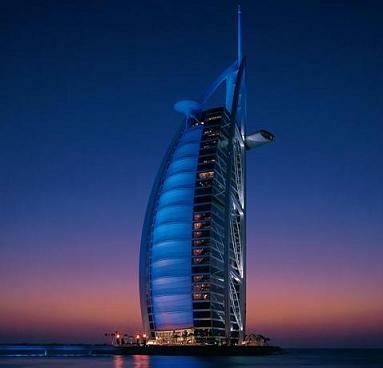 The hotel we chose for our stay was the 7 star Burj al Arab. The reason we chose it was that it is one of the best, if not the best hotel in the world. The hotel lived up to our expectations in every way. Personal development wealth quote: Stuart Wilde, the acclaimed author and personal development specialist states that. "you must express happiness for people who are currently checking into the penthouse suites of the world's finest hotels." You must learn to feel as happy for other people's good fortune as you would for your own. Granted, this is not always easy but trust me if you can master this feeling then increased wealth will start to flow to you. We were chauffered from the airport to the hotel in a Rolls Royce Silver Seraph, the hotel itself was simply spectacular. It took us three days before we stopped staring up at it's structure in awe and wonder. It's built aprox a quarter of a mile out to sea in the shape of a billowing sail and soars 321 metres above the Arabian gulf. The hotel's staff were fantastic. I could write a book on the whole experience but that's not the point. The point is this. Our stay in the world's only 7star hotel taught us many things, the most important of which was, how to feel comfortable around money, real money and people who have it. wealthnugget4u:- Personal development wealth: In order to receive real wealth and more importantly, be capable of holding on to it. You must learn to feel comfortable about having money. You don't have to go to such lenghs as staying at the Burj to achieve this feeling. You could go for a snack in a fine restaurant, shop for small items in exclusive stores or just hang out where wealthy people do. Slowly but surely you will begin to feel more comfortable about the whole concept of money and wealth and that is key because wealth is a mindset. Personal development wealth: The reason most lottery winners soon loose all their winnings is that deep down they don't feel comfortable with the money or worthy of having it. You must learn to get over this feeling and it's a lot easier than you may think. The first time I took my new BMW company car to be serviced I felt a little nervous but you soon come to realise that people who have money are no different to people that haven't, they just think differently that's all. That's the key. No matter how you would like to feel, wether it's rich, intellegent, considerate etc. Just start thinking that way and in no time at all you will have actually developed the desired trait. 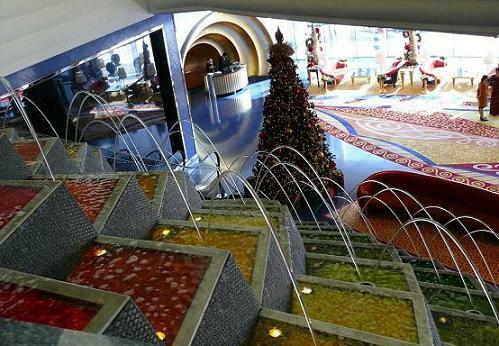 Once I'd stayed at the Burj al Arab I found that nothing else relating to social status fazed me. Nowadays, if anyone ever tries to act socially or financially superior to me I just remind myself that I've stayed in the best hotel in the world. If they really start to irritate me then I'll mention it. I have great fun in quizzing people that pretend they've stayed or dined at the Burj but obviously haven't. There's nothing better than making a pretentious, wannabe snob squirm. It's naughty but nice. Personal Development Wealth Main Page. Personal Development Homepage.